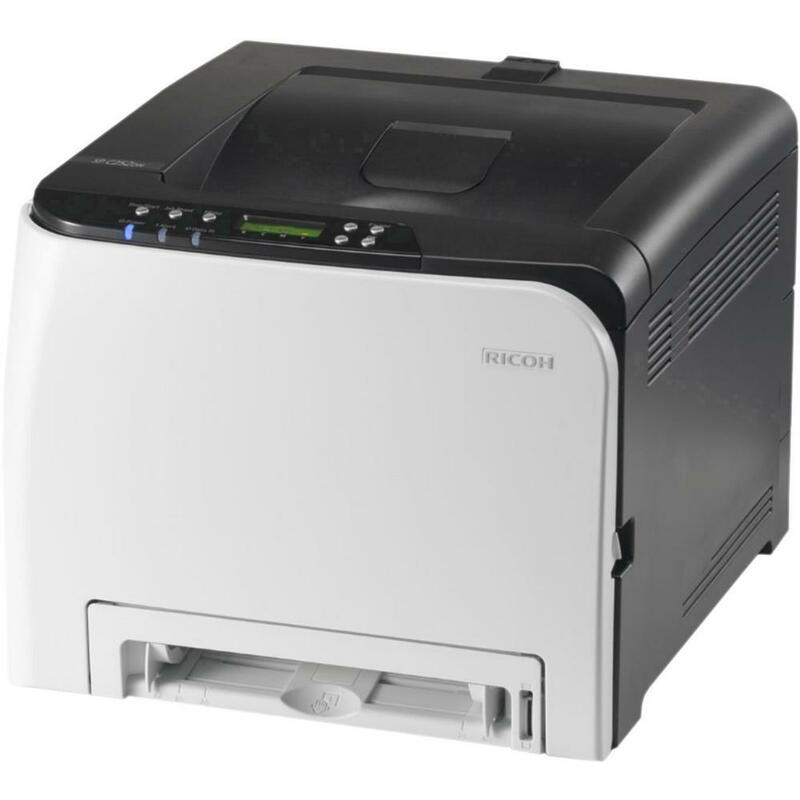 The Ricoh C250DNW is an entry-priced colour laser printer that offers both wireless and wired connections. The 250-sheet paper tray should be the ticket for home and micro-office users, and single-page bypass feed is handy for printing on headed paper and envelopes. While print quality is high, the SPC250DNW can be slow dealing with complex graphics, but to be fair that is typical of most printers. Those ordering this device should be aware that it weighs just short of a hefty 24kg, so help will definitely be required when moving it into position. The Ricoh SP C250DNW is 400mm x 450mm x 320mm and weighs 23.8kg. The design is a black central core with white panels wrapped round it. An interesting touch is the vents over the device’s two cooling fans. They can be rotated to allow hot air to be blown out either to the front or back. The duty cycle for the SP C250DNW is a reasonable 30,000 a month and the continuous print time is 16 prints per minute for both black and white and colour. Warm-up time for the machine is reported as less than 30 seconds. As with any wireless enabled printer, the Ricoh SPC250DNW has the advantage that it can be put anywhere in the office, as long as it is within reach of a power cable. The entry price is also an advantage for those not wishing to break the budget. The high print quality is a major plus. Those users who find the 250-sheet paper tray is not enough can also upgrade to a 500-sheet tray. The weight of the Ricoh SP C250DNW makes it difficult for the solo user to move into position without assistance. The printer is also reported as being quite noisy when in use.